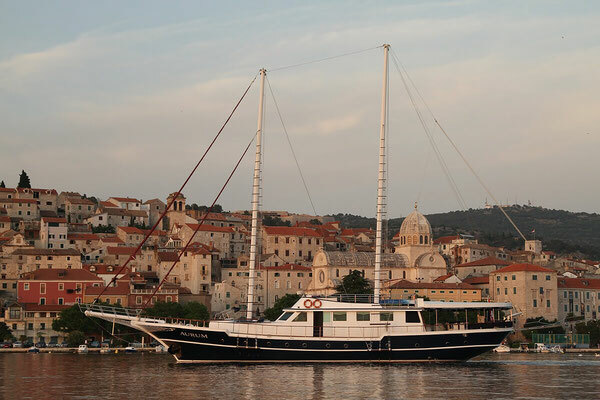 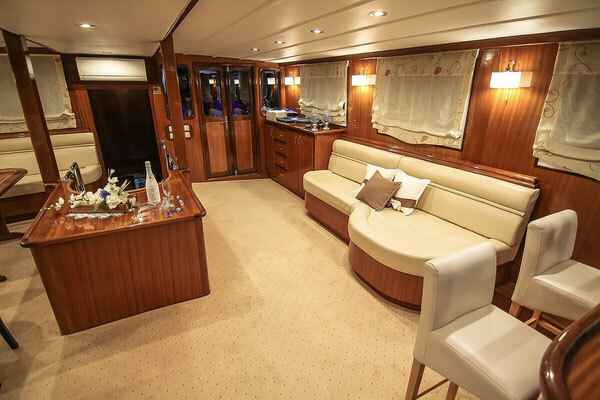 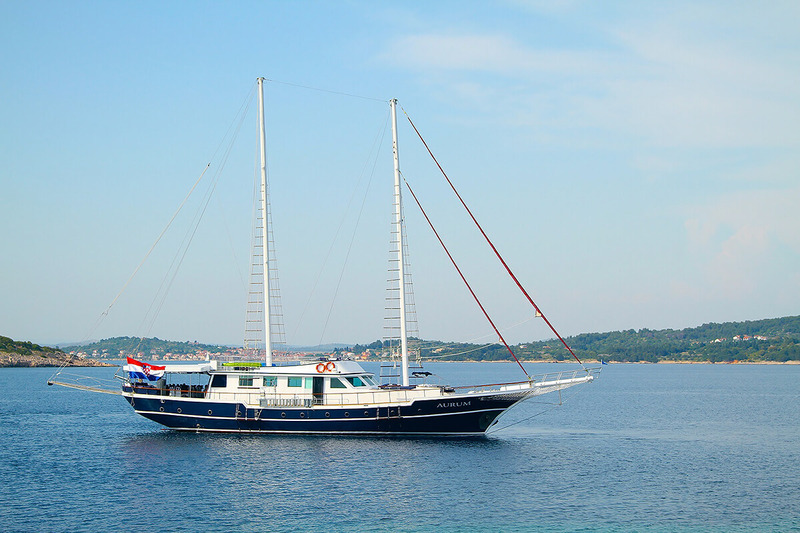 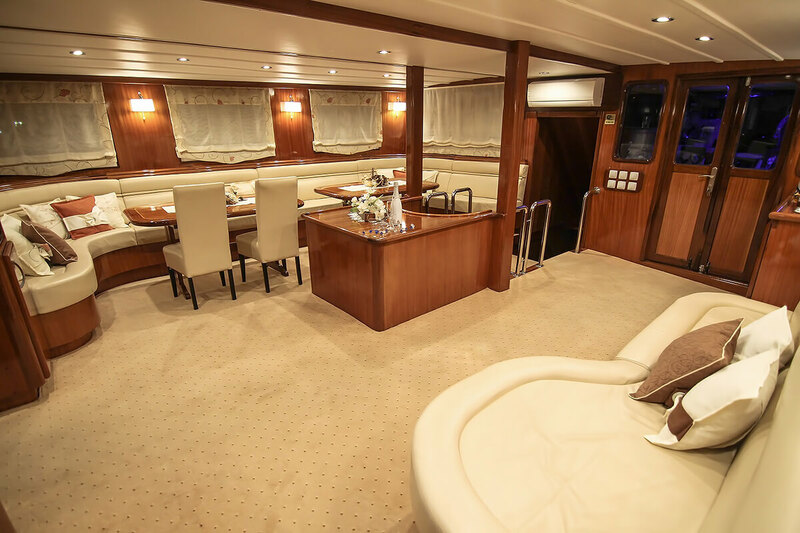 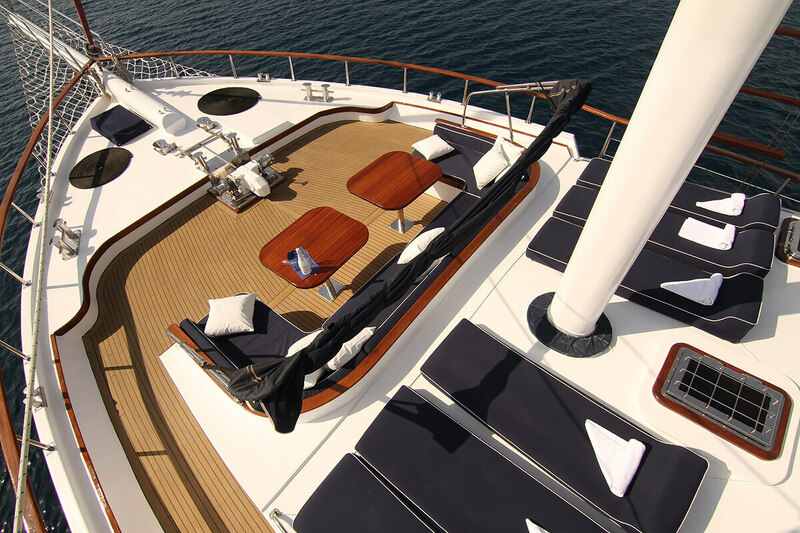 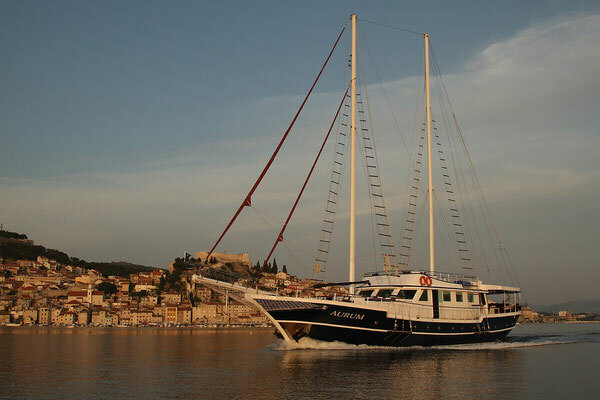 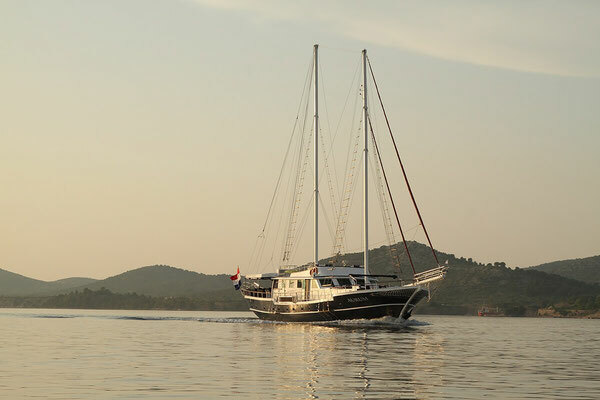 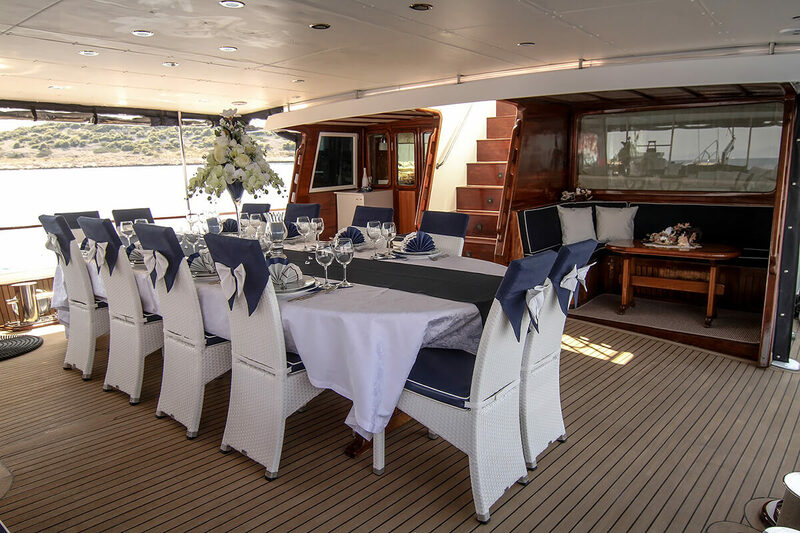 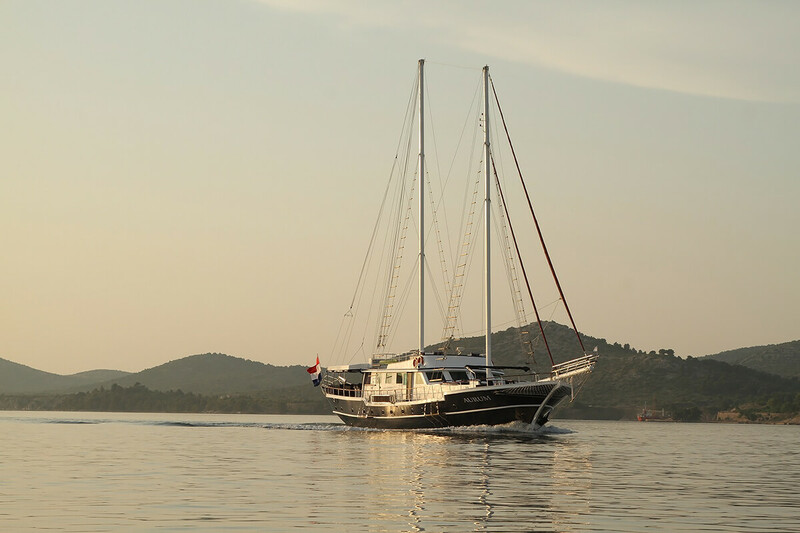 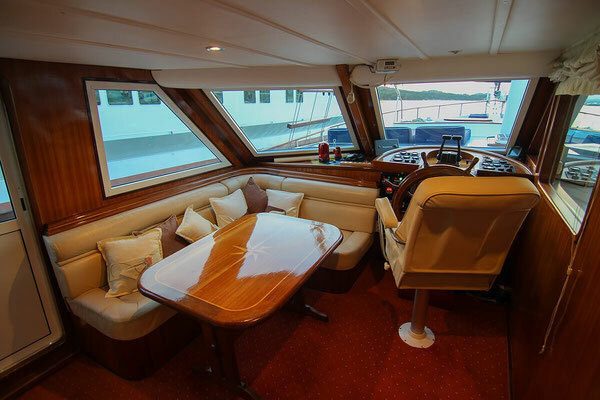 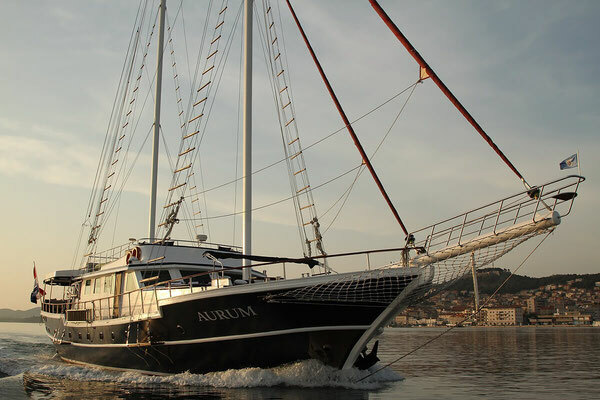 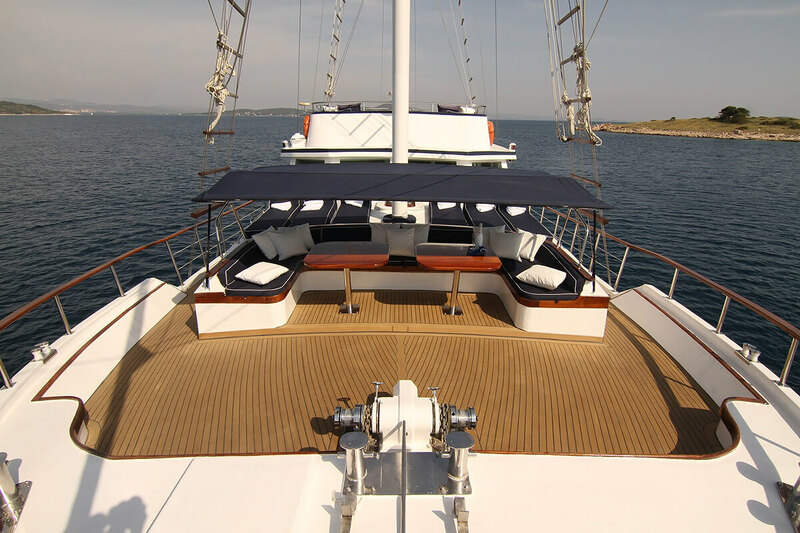 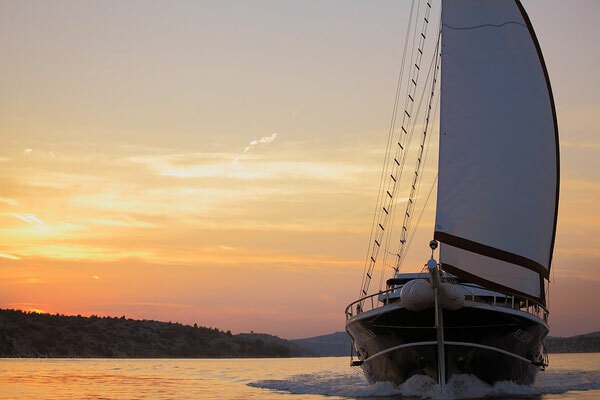 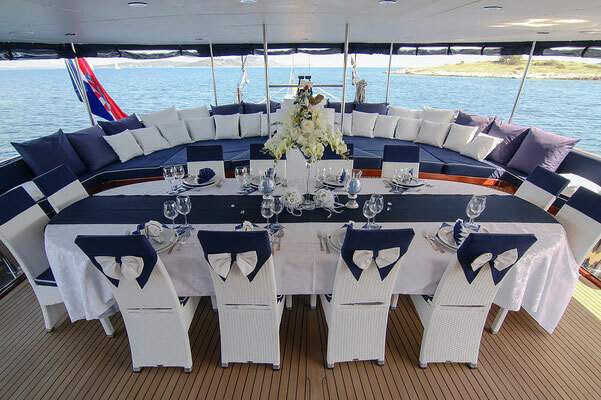 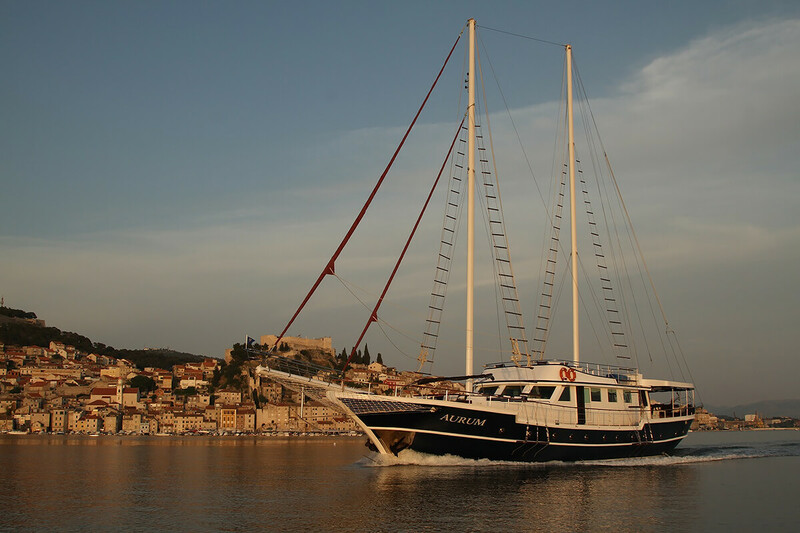 If you like luxurious sailing then you should select gullet Aurum. 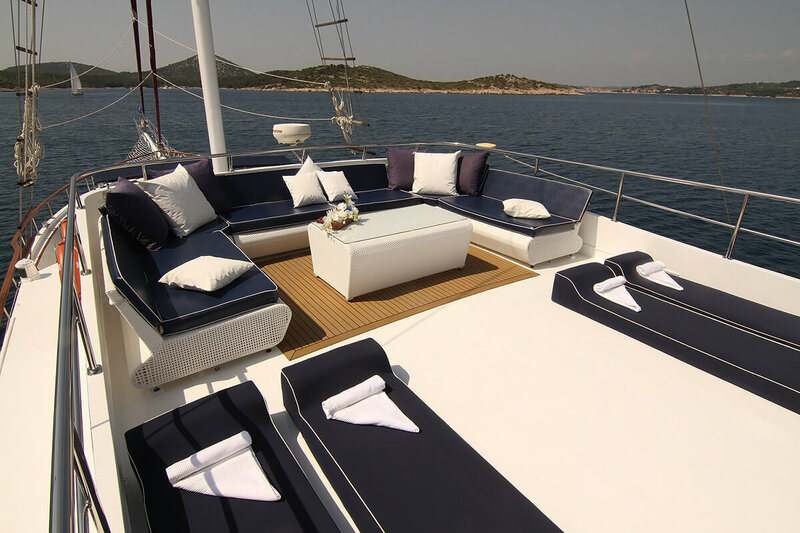 Immediately you will be won by it because of his comfort; wherever you turn there is a place to sit or lie down. 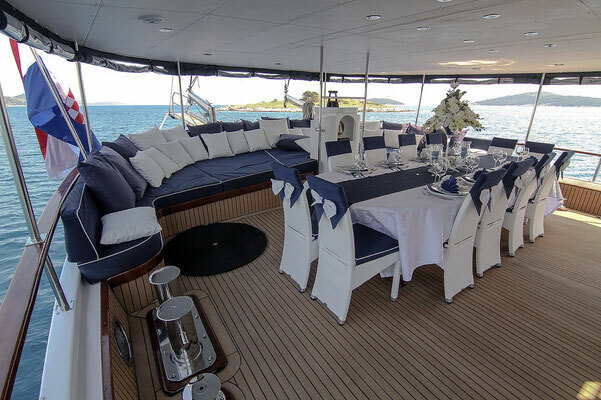 The rear deck will delight you with a large table for 12 people and many pillows on a mattress, which extends along the edge of the deck. As a small surrounded oasis it is barely noticeable small table next to the sofa. 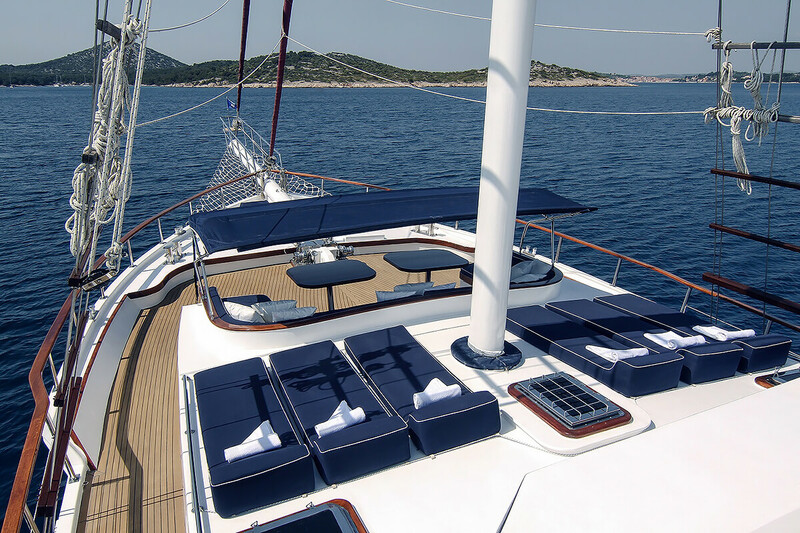 The front deck is rich in mattresses for sunbathing where you can sit beside two tables. 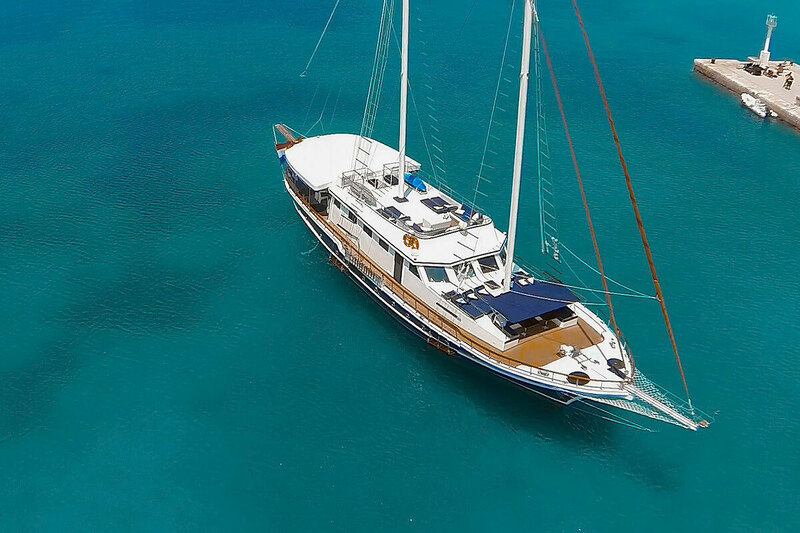 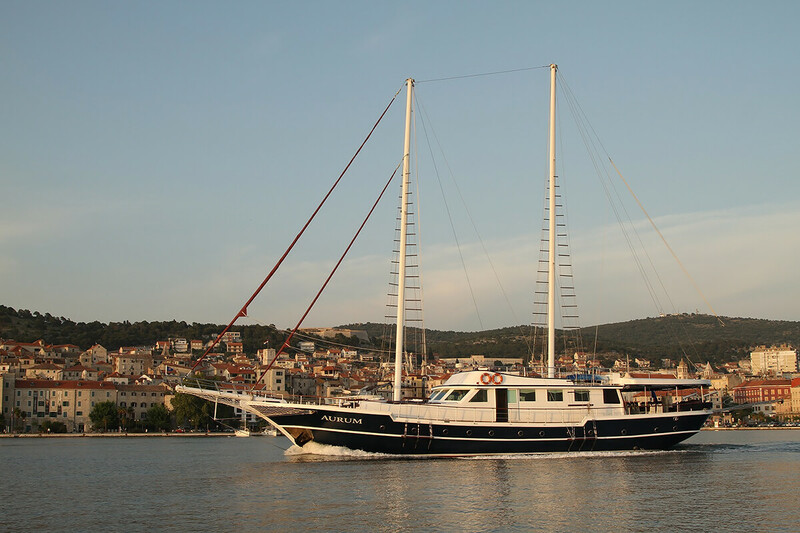 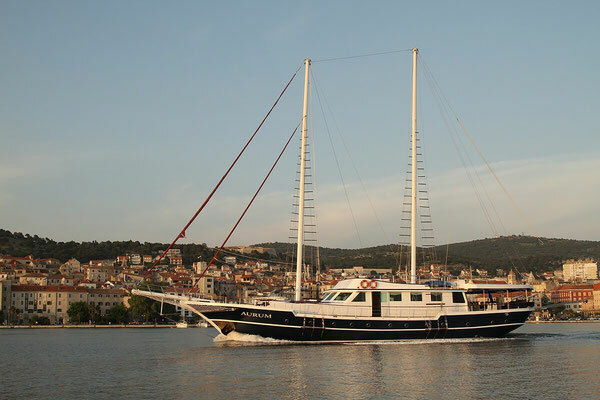 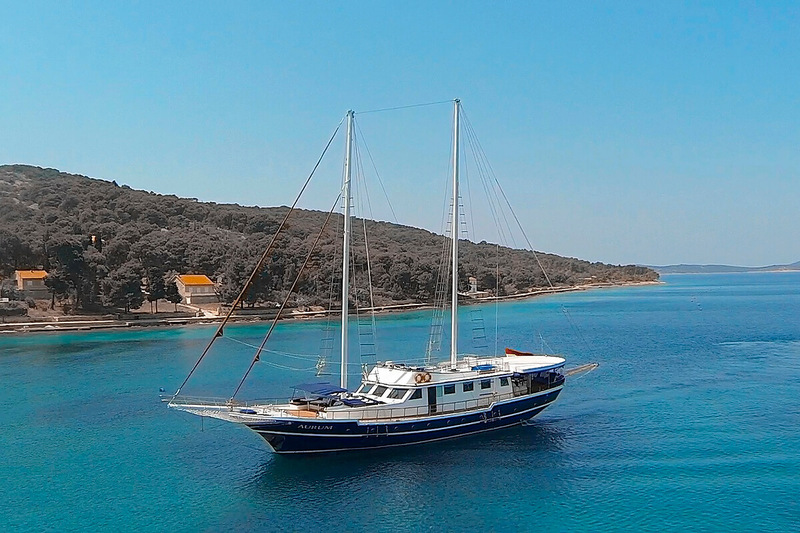 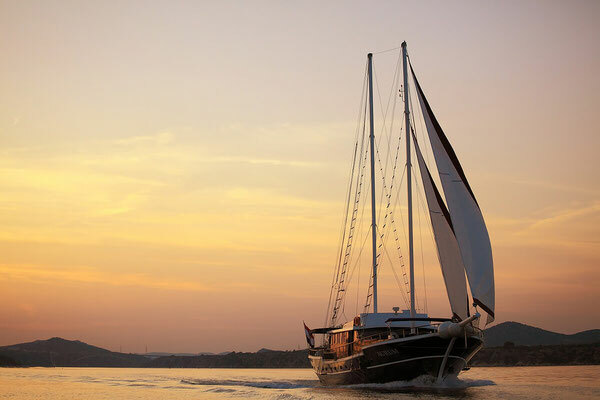 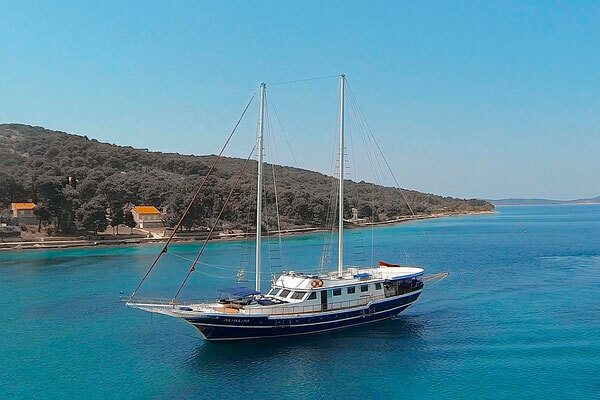 This gulet offers upper deck, living room and extra beds for enjoying the sun. 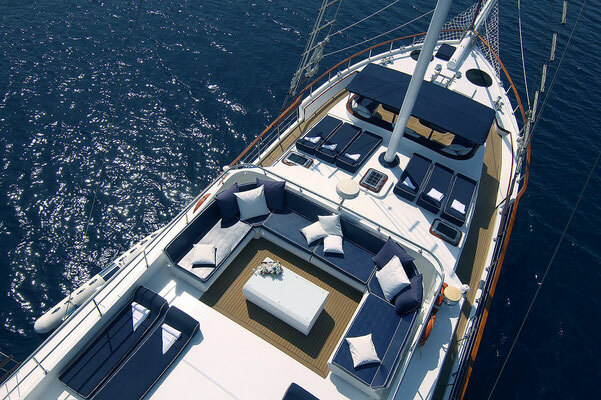 The air-conditioned lounge stands out with two tables with white leather seating along by the each side of the gulet. Here you can relax on the sofa with the TV or Wi-Fi. 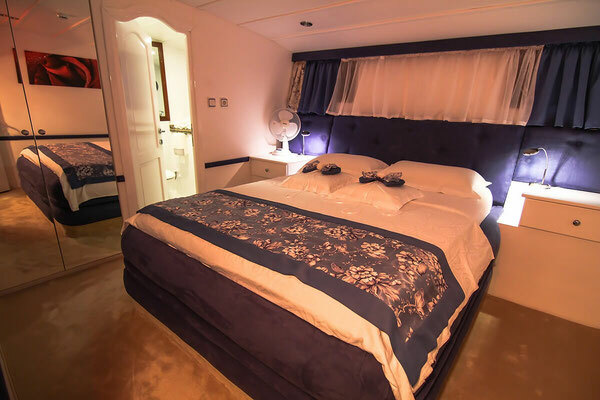 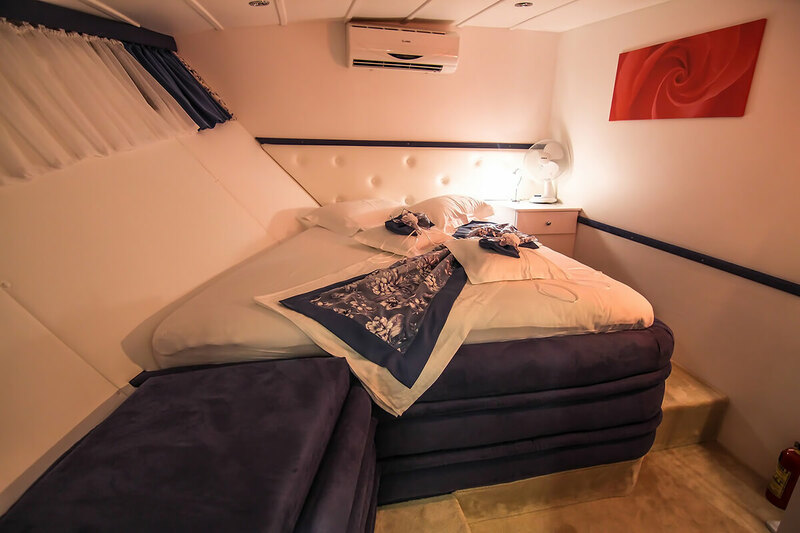 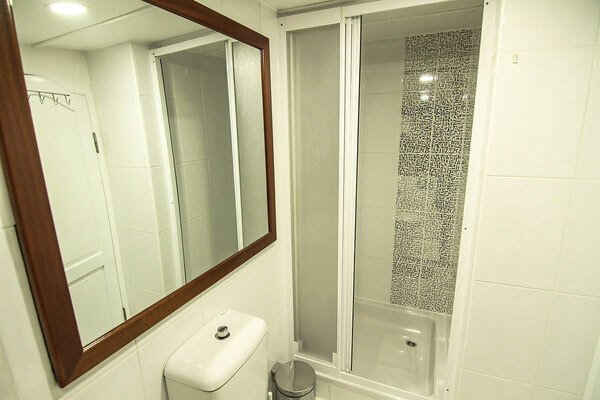 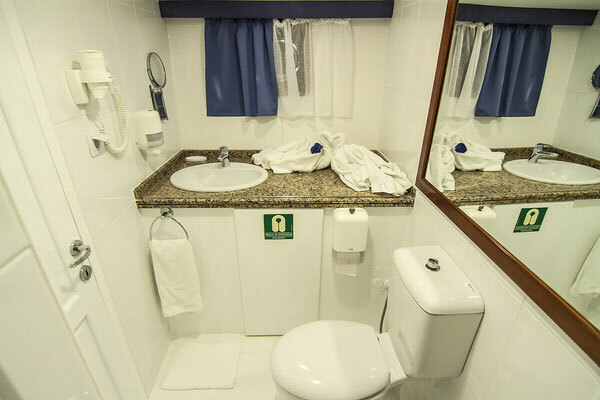 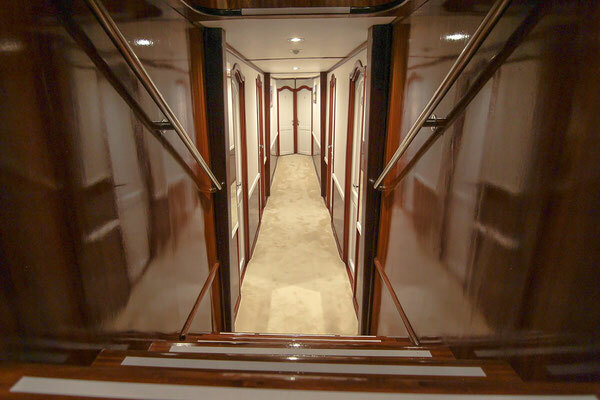 Six cabins with air conditioning and en suite bathrooms have double beds. If you carry some values with you, store it in the safe because each cabin has one. 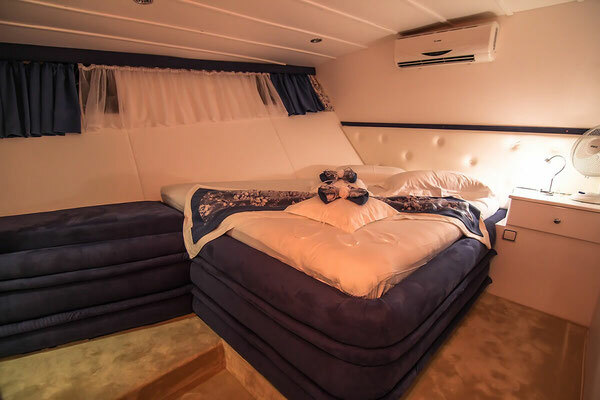 Experienced crew who enjoys their work will make available to you the equipment for fishing and diving, canoe and donut so your entertainment is guaranteed. 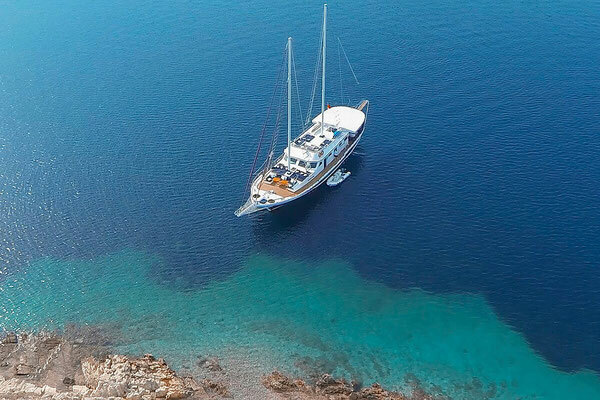 Welcome to the gulet of pleasures!